Hi! Didn't have much time to draw today! 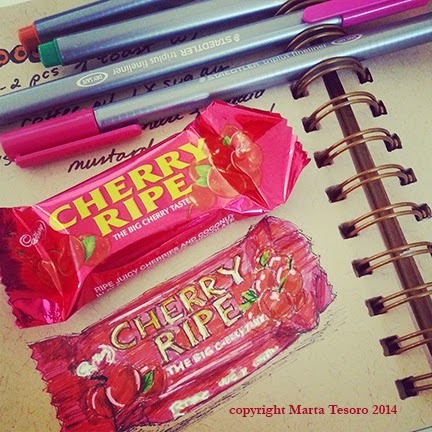 Here's a cherry ripe I drew at lunch and then gave to Ben after I was done with it. Yup, another sweetie I decided not to eat. I did eat a piece of apple liquorice though! Heh, was curious as to how it tasted. Too sweet for my liking. A busy weekend ahead with social events, freelance and drawing!